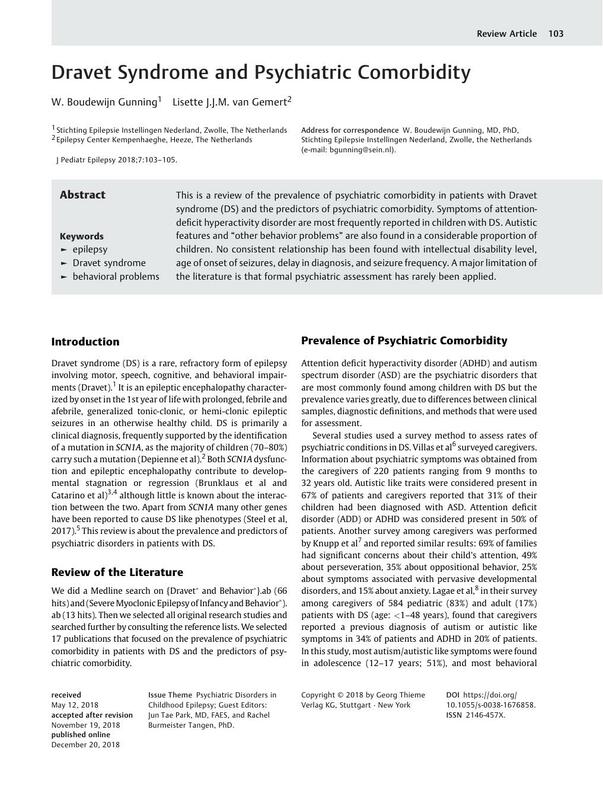 This is a review of the prevalence of psychiatric comorbidity in patients with Dravet syndrome (DS) and the predictors of psychiatric comorbidity. Symptoms of attention-deficit hyperactivity disorder are most frequently reported in children with DS. Autistic features and “other behavior problems” are also found in a considerable proportion of children. No consistent relationship has been found with intellectual disability level, age of onset of seizures, delay in diagnosis, and seizure frequency. A major limitation of the literature is that formal psychiatric assessment has rarely been applied.